handles all kinds of fabric and paper. It’s compact size lets you easily carry around the house. 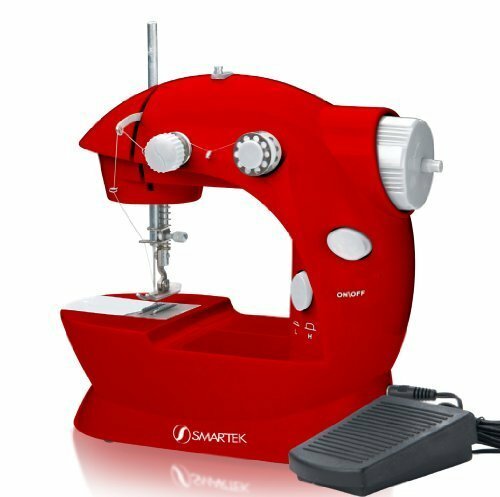 It is also a double stitch machine with 2 speeds, has a foot pedal, can use standard spool of thread, 4 metal bobbins, 3 needles and 1 threaded included. This compact machine can be easily wrapped in a box and put into the gift swap, without anyone knowing any better… It is sure to make you the talk of the party!